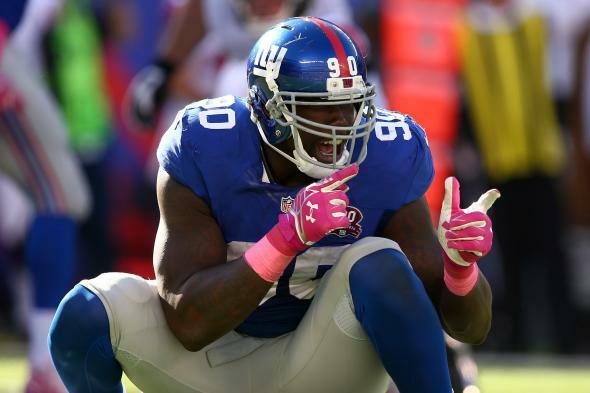 New York Giants Pierre-Paul reportedly has finger amputated following fireworks accident. Jason Pierre-Paul reacts after a play against the Atlanta Falcons on Oct. 5, 2014. New York Giants defensive end Jason Pierre-Paul was involved in a nasty firework accident on the Fourth of July that, ESPN’s Adam Schefter reports, resulted in Pierre-Paul having his right index finger amputated on Wednesday. The report comes after days of uncertainty about the severity of Pierre-Paul’s injury and initial speculation that the defensive end may lose his hand from the accident. The news could mean that Pierre-Paul will be headed back to work sooner than feared, and Schefter is reporting that his doctors expect that to be this season. The injury comes at a particularly bad time, as Pierre-Paul and the Giants were in the middle of negotiating a new $60 million deal. The contract has reportedly been pulled following the fireworks accident.